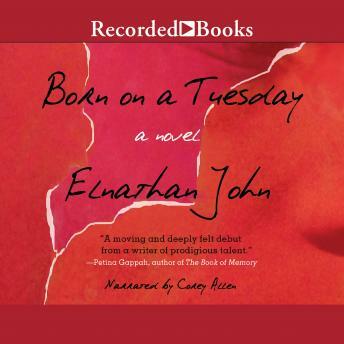 From two-time Caine Prize finalist Elnathan John, a dynamic young voice from Nigeria, Born on a Tuesday is a stirring, starkly rendered first novel about a young boy struggling to find his place in a society that is fracturing along religious and political lines. In far northwestern Nigeria, Dantala lives among a gang of street boys who sleep under a kuka tree. During the election, the boys are paid by the Small Party to cause trouble. When their attempt to burn down the opposition's local headquarters ends in disaster, Dantala must run for his life, leaving his best friend behind. He makes his way to a mosque that provides him with food, shelter, and guidance. With his quick aptitude and modest nature, Dantala becomes a favored apprentice to the mosque's sheikh. Before long, he is faced with a terrible conflict of loyalties, as one of the sheikh's closest advisors begins to raise his own radical movement. When bloodshed erupts in the city around him, Dantala must decide what kind of Muslim-and what kind of man-he wants to be. Told in Dantala's naive, searching voice, this astonishing debut explores the ways in which young men are seduced by religious fundamentalism and violence.